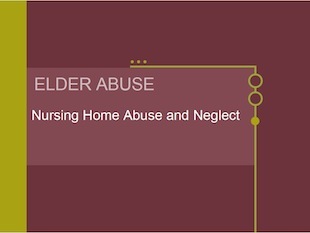 Bedsores, medication errors, malnutrition, abuse, and neglect are among the federal health and safety violations that jeopardize nursing home patients in the United States. In 2007, United States Federal Inspectors received 37,150 complaints about nursing home conditions. Obviously, the selection of a nursing home is very important. Making visits to several nursing homes before you decide is a great way to figure out what type of facility will be the best fit for you. Dropping in unannounced during normal visiting hours and during different shifts are good ways to get a feel for a facility. Shifts of duty are usually from 7 a.m. to 3 p.m., 3 p.m. to 11 p.m., and 11 p.m. to 7 a.m. Some facilities may use different schedules. It is a good idea to visit a nursing home you are considering during the week as well as on a weekend. If the home appears to be running smoothly on weekend days and evenings, and during business hours, that is usually a good sign. It is also helpful to visit during a meal time. This enables you to see how the residents are cared for as a group and you can see if they are happy with the food provided. The activities schedule should be posted for all to see. Planned events and the activity level of the residents give an indication of how engaged the staff is with the residents. Carefully observe how the staff and the residents relate to each other. By paying attention to the way the workers interact with the residents, you can determine if the staff is caring, sensitive and responsive to the needs of the residents. Another indication of the relationship between the staff and the residents is the appearance of the residents. Just as the appearance of the home indicates whether it would be a nice place to live, the appearance of the residents shows whether they are well-groomed, dressed appropriately and cared for by the staff. Residents can be an excellent source of information about life in the nursing home, if they are available and willing to talk. You will also want to visit family members of the current residents so they can offer their impressions of the facility and its staff. After visiting unannounced, it would be wise to arrange a convenient time with the staff to meet with them. Those at the nursing home with whom you want to meet are the Administrator, the Director of Nursing (DON) and the Social Services Director. These members of the staff should be willing to meet with you to go over the home's policies. The staff should also be willing to discuss the home's inspection reports openly and honestly. Deciding to enter a nursing home or having to select a nursing home for a loved one and then choosing the right one can be emotionally difficult. The web pages below lists some suggestions for selecting the right nursing home for residents' specific needs and for making sure that residents receive good care once they have moved into the facility. 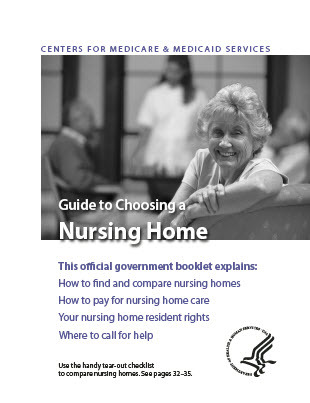 Important and In-Depth Publication from Medicare on selecting a nursing home. 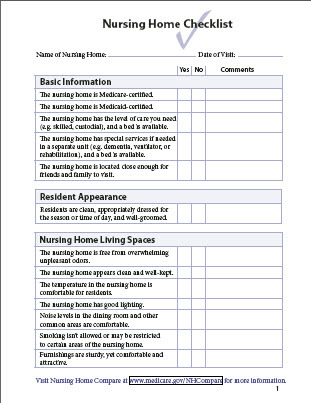 A Comprehensive Checklist to Take With You When You Visit a Nursing Home.